Lineal heavyweight champion Tyson Fury has shocked the world again, this time by claiming he is planning an interesting second career after boxing. Just a few weeks out from his return to the ring after two-and-a-half years on the sidelines, the 29-year-old Fury is already talking about life after boxing. 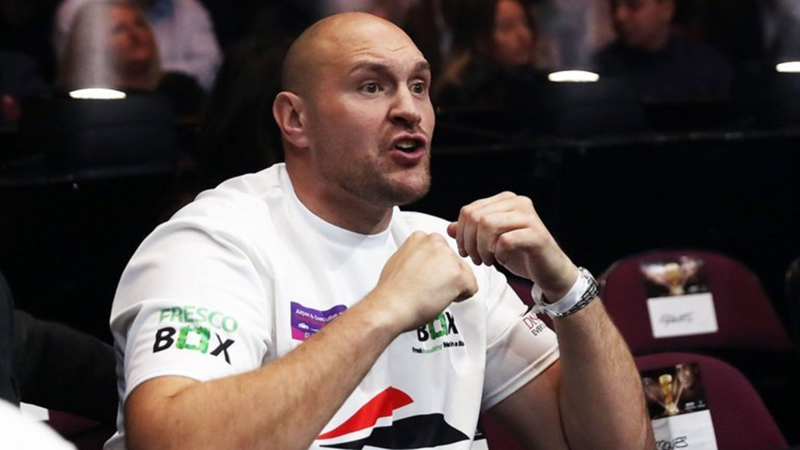 Fury, who has not boxed since defeating Wladimir Klitschko in 2015, will face the largely unknown Sefer Seferi at Manchester Arena on June 9. Speaking to The Sun this week, Fury revealed his plans to study medicine once he hangs up the gloves for good in a few years’ time. “I had a choice and I chose boxing first but, after boxing, I am going to be a doctor,” Fury said. “I made that decision a few years ago. I am going to be a doctor and I am going to help people. When I have finished in a few years, I’ll still only be in my early 30s. Then I’ll study for the next seven years to be a doctor. The charismatic and outspoken self-proclaimed “Gypsy King” insists he has what it takes to become a doctor. Fury stepped away from boxing in 2016 after suffering mental health issues compounded by cocaine abuse. During his time away from the ring Fury blew up in weight, putting on as much as 10 stone by some estimates. Recent photos of Fury show a much more svelte figure, closer to the 247-pounds he weighed when he became the first man to defeat Klitschko in over a decade.